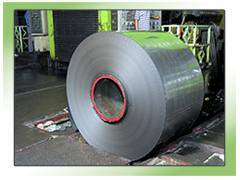 Cold Rolled steel is produced by 6-Hi / Reversing Cold Rolling Mills. These mills are equipped with latest technologies of configurations comprising of Mill Management System, ABB make Advent technology system, Automatic Gauge Control System and ABB make Digital DC Drives which assures the quality and prescribed limit of thickness of the materials. This automation process enables the reduction of thickness of material up to 90 %, i.e. as thin as 0.10 mm as per customer's demand and International requirements. The plant is also equipped with Bell Furnaces and Skin Pass facility to cater the market for Domestic appliances. 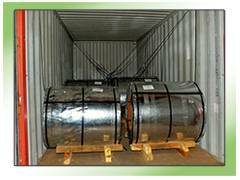 Jindal’s Cold Rolled Steel is accredited with ISO 9001-2008 and having a valid license of Bureau of Indian Standards, like IS 277.